Pats 4" x 6" Accordion Album in a Box! Happy Sunday!! 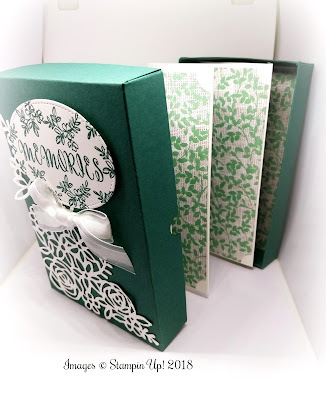 Thank you for stopping by my blog today & i hope you enjoy the tutorial i have for you. Not long ago, i was sent a beautiful photograph of an album like this by a Lady called Pat Powell. Pat had made the album herself & thought i might like to give it a try. I loved it & i have never seen an album like this in a box. I have seen them similar but not a one that has its own box attached. 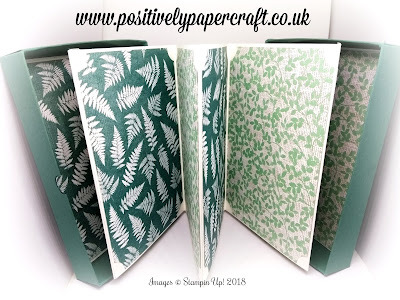 This beautiful album is very easy to make & i love the fact that it holds large photographs. It would look lovely displayed on a shelf or mantelpiece etc. 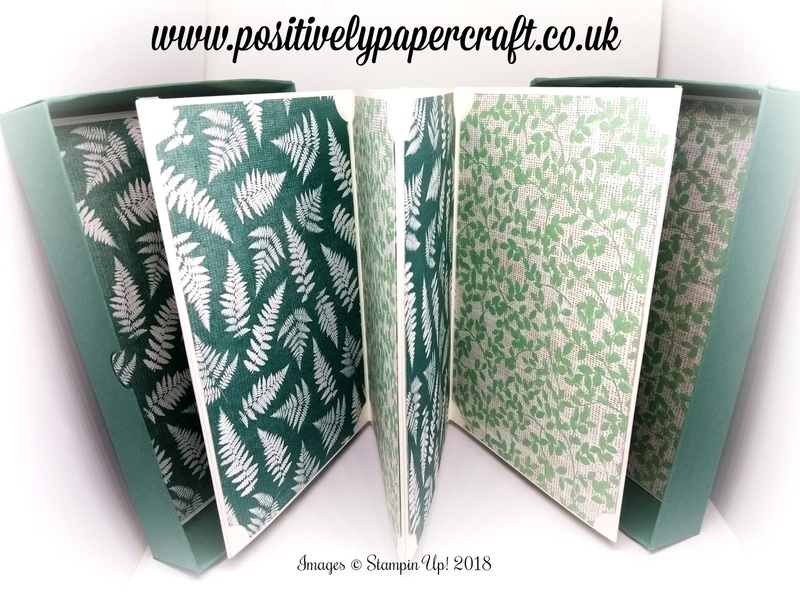 I chose the gorgeous new Natures poem DSP to make mine and also Tranquil tide card stock. You could also decorate the back side of this album but i chose not to, mainly for the purpose of the video. If you did it would hold 16 photos & 8 if you just decorate the front. It would make a perfect gift for anyone. 3 PIECES OF WHISPER WHITE CARD MEASURING 6" X 8 1/4"
1 PIECE OF WHISPER WHITE CARD MEASURING 6" X 8"
SCORE IN THE MIDDLE AT 4"
DSP MATS X 8 OR 16 IF YOU WANT TO DECORATE THE BACK MEASURING 3 7/8" X 5 7/8"
2 PIECES OF TRANQUIL TIDE CARD STOCK MEASURING 10 1/8" X 8 1/8"
SCORE ALL 4 SIDES @ 1" & 2"
THE PIECE THAT WILL BE YOUR BOTTOM WILL HAVE TO BE MOVED AWAY FROM THE SIDE OF SCORED BOARD EVERY TIME YOU SCORE, THIS WILL MAKE THE BASE SLIGHTLY SMALLER THAN THE LID.